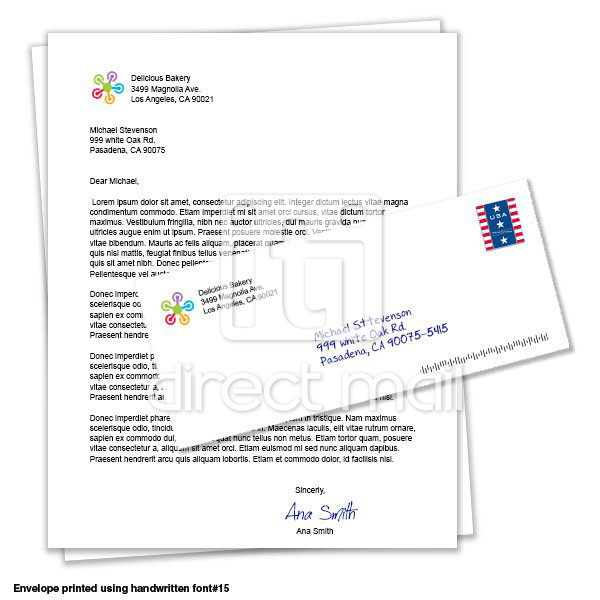 This product allows you to configure a custom letter printing/mailing package where your letters and envelopes have been printed separately. 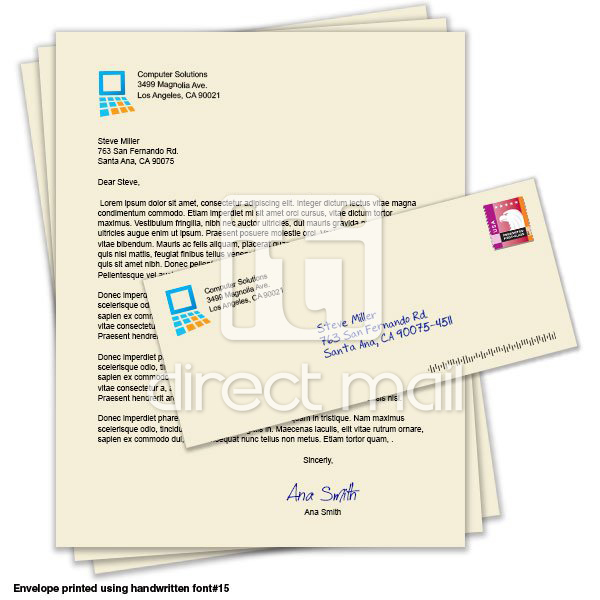 You can use a handwritten font to address your envelopes. Our handwritten fonts are created from a real person's handwriting, they are not script fonts. We can also create fonts based on your handwritingÂ as well. Click hereÂ to see our handwritten fonts. If your order is larger than 25,000 pieces, please contact us, since we canÂ possiblyÂ reduce your cost by printingÂ portion of your job via offset press vs. digitally. If you need to insert additional material such as remit envelopes or brochures, first configure your letter package and add to cart then navigate to the desired product and add it to cart as well. Here are some of our common options. Contact us if you don't see what you are looking for. 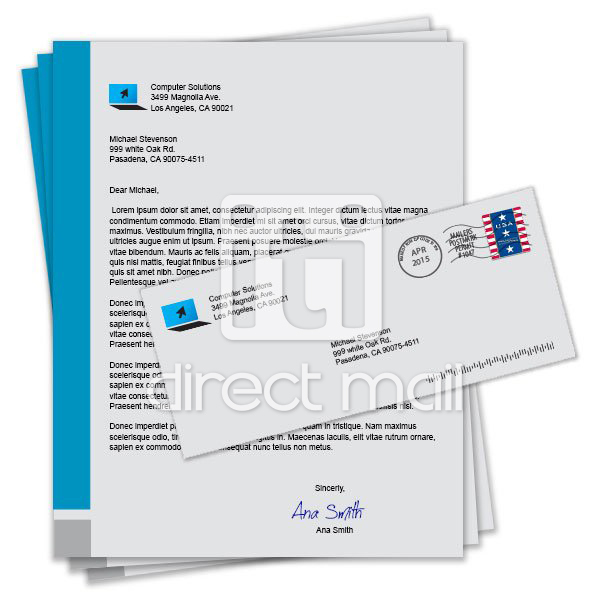 You can have mail merge information on one or both sides. The cost of mail merge shown here is for a simple mail merge, e.g. information simply flowing from your list to the merge document. We can also perform complex mail merges based on various conditions and formulas; such merges may incur additional charges. 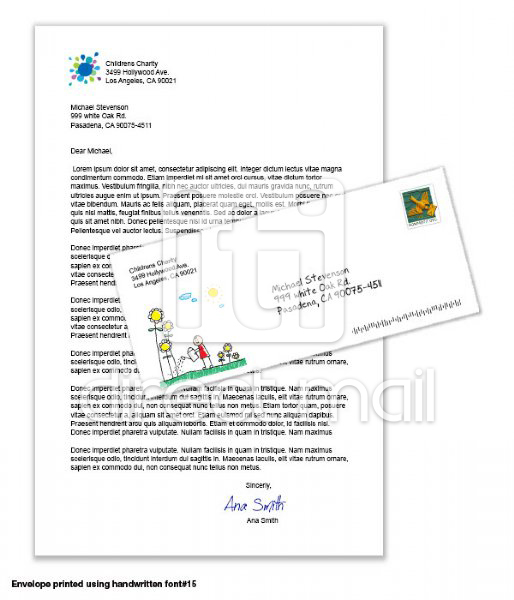 Letter must be submitted in Ms Word (min. versionÂ 2000 or higher) or PDF. To qualify for NO setup fee, your letter must be camera ready, more details. 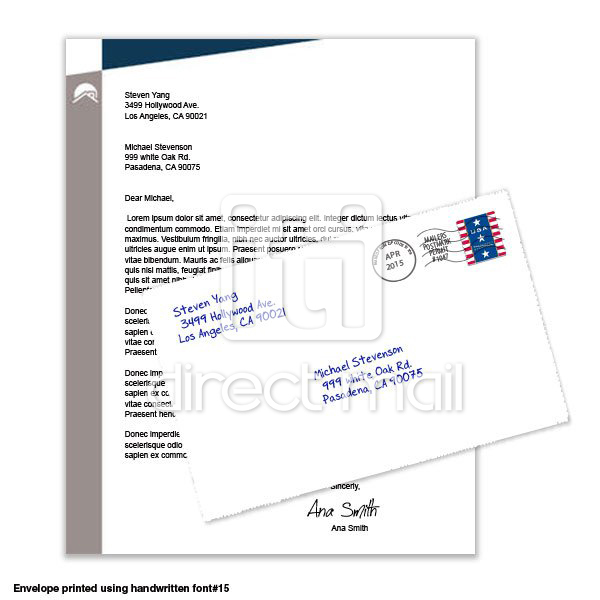 Envelopes require a 0.25" clear margin all around. Non full bleed letters must have minimum of 0.25" clear margin all around. This page explains how to place an order. How to setup your mailing list, you must use correct field names for your order to process accurately. How to indicate the location of your merge fields in your letter. 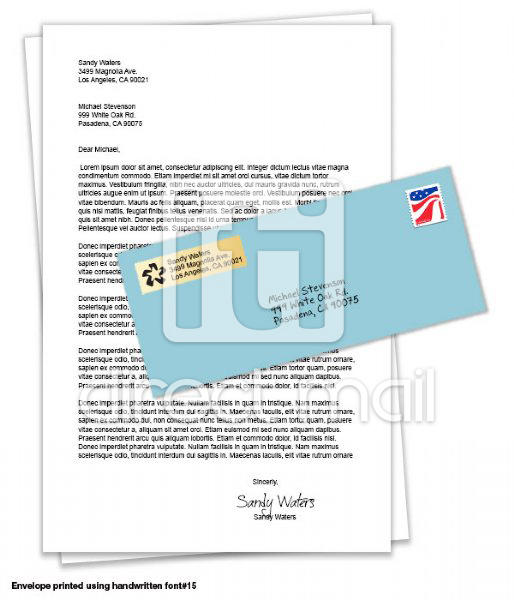 How to setup your envelope, and envelope template available for you to use. How to upload your files & send messages to the Production department. List of our handwritten fonts, this is an optional service at no additional cost. If you have multiple versions of your letter. If you would like stagger your mail to be mailed in different times/batches. How to approve or decline your proof.